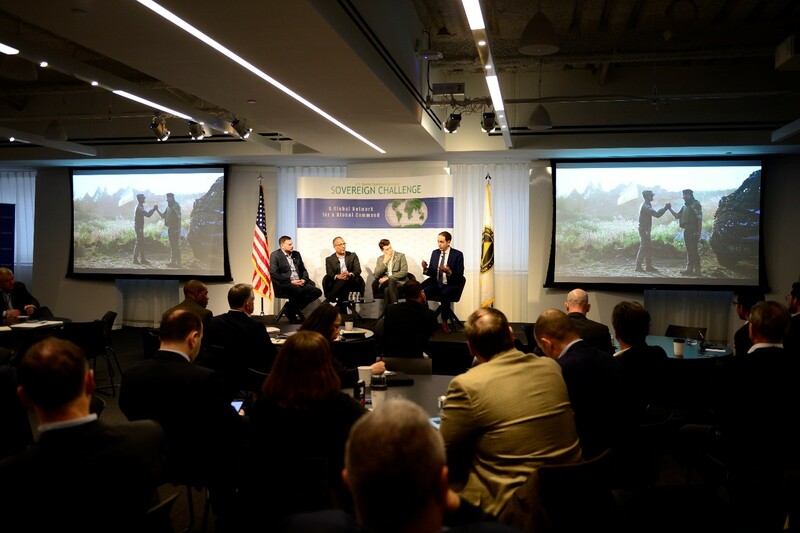 In an effort to understand how disinformation can spread quickly through exponentially expanding media platforms, U.S. Special Operations Command held the Sovereign Challenge Conference in New York City, March 20-23, 2018. Attendees for the 16th Sovereign Challenge Conference pose for the group photo at the Council on Foreign Relations after Dr. Richard Hass, president of Council on Foreign Relations, gave a lecture on sovereignty in the information age in New York City, March 20, 2018. The theme of the conference was "Is truth a commodity" with a subtext of "Sovereignty in the information age." More than 100 individuals from more than 43 countries participated in the conference. Sovereign Challenge began in 2004 when USSOCOM invited a group of defense attachés from Washington, D.C., to Tampa, Fla. to discuss major issues of concern to their respective nations. Since then, conference participation has focused on accredited military, defense attachés and security-related diplomats from D.C.-based foreign embassies. Photo by Michael Bottoms, USSOCOM Office of Communication. ​In the mid-2000s, communication technologies merged into platforms or social networks making connectivity and solving complex problems much easier. Billions of people can compete, connect, collaborate and create, in more ways, from more places, cheaply and with greater ease than ever before. Russian troll farms through Facebook and Twitter tried to divide America and inject fake news into our public life. Communications technologies by themselves are neutral, yet it is bad actors who can hide in plain sight and leverage attacks using fake accounts making the threat very real. In this way, information can become weaponized and threaten a nation's sovereignty. 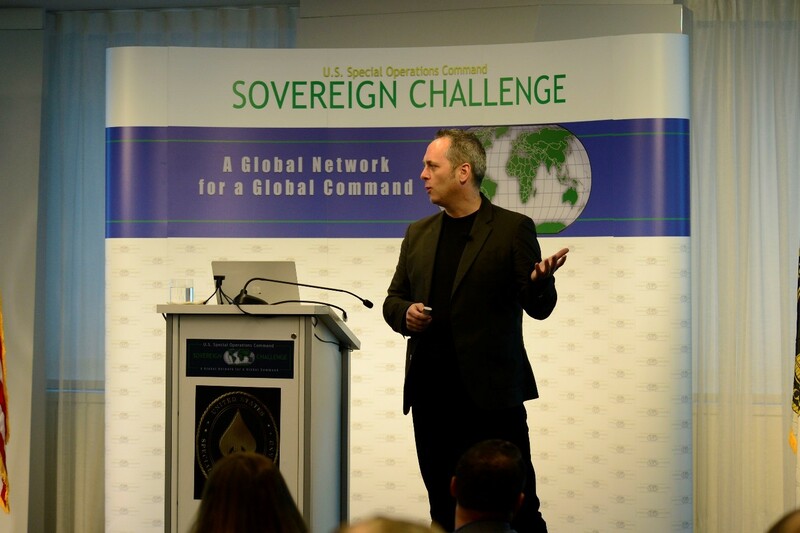 In an effort to understand how disinformation can spread quickly through exponentially expanding media platforms, U.S. Special Operations Command held the Sovereign Challenge Conference in New York City, March 20-23, 2018. The theme of the conference was "Is truth a commodity" with a subtext of "Sovereignty in the Information Age." More than 100 individuals from 43 countries participated in the conference. 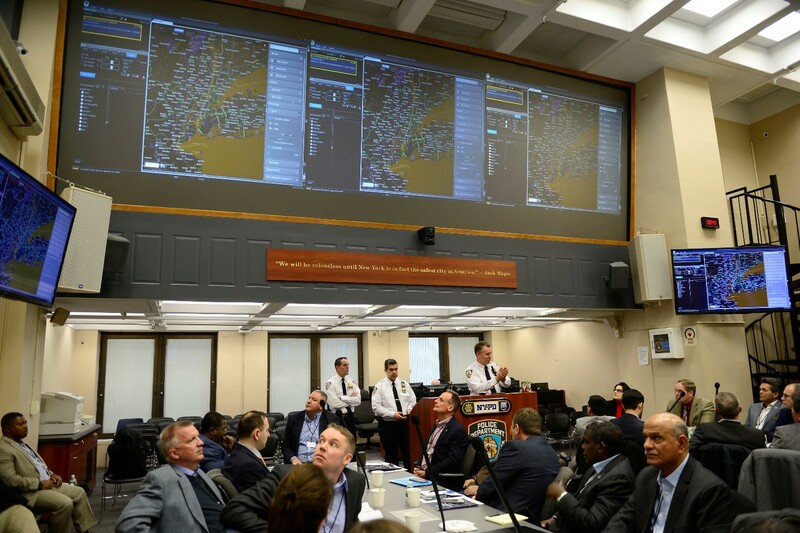 The conference was broken up into panels and keynote speakers as well as a visit to the New York Police Department Headquarters where Dermot F. Shea, Chief of Crime Control Strategies for the New York Police Department, briefed the conference on analytical policing procedures. Key note speakers included Dr. Richard Haass, president, Council on Foreign Relations, Steve Clayton, chief storyteller, Microsoft and Dr. Ajit Maan, president, Narrative Strategies among others. Each speaker and panel grappled with the proliferation of disinformation, why it works and its effect on societies. "Television was our chief tool in selling our policy," Haass said. "Now with Twitter and the other social media platforms, governments communicate in real time." "Surveys say seven and ten people worry about false information or fake news being used as a weapon," Clayton said. "People tend to think fake news is U.S. centric, but clearly it isn't, countries like Mexico, Argentina, Spain and Indonesia, that's where the worry is the highest about fake news." "Why can't we effectively counter disinformation with the truth? Why does disinformation stick even in the face of cold hard facts?" Maan said. "The human dimension to answer those questions is that we are not influenced by raw data. We are influenced by stories." Serious discussion took place analyzing the role of today's journalism and how it is being diminished by today's communication technology. "Technology has atomized everything to meaninglessness. Everything is hyper-charged with emotion. Social media is about thinking fast." said Maria Ressa, chief executive officer, Rappler, an online news site based in The Philippines. "In the end journalists are no longer the gatekeepers. And the gatekeepers today have no rules. It is mob rule. Good journalism is now bad business." "We have supported independent media organizations to counter disinformation, promote independent media in a space for correct information," said Patience Zirima, director, media matters Zimbabwe. "We launched a fact checking program on a website called Zimcheck designed to strengthen independent media." Sovereign Challenge began in 2004 when USSOCOM invited a group of defense attachés from Washington, D.C., to Tampa, Fla. to discuss major issues of concern to their respective nations. Since then, conference participation has focused on accredited military, defense attachés and security-related diplomats from D.C.-based foreign embassies. For more information on Sovereign Challenge, visit us at, https://www.socom.mil/SovereignChallenge.